STRATTON MONTEZ IS COMMITTED TO PRESERVING THE PRIVACY OF ALL VISITORS TO OUR WEBSITE AT STRATTONMONTEZ.NL. BY REGISTERING OR PLACING AN ORDER/ADVERTISEMENT ON THIS WEBSITE, YOU CONSENT TO THE COLLECTION, USE AND TRANSFER OF YOUR INFORMATION UNDER THE TERMS OF THIS POLICY. When you visit, register or order products or services on Stratton Montez.nl you may be asked to provide certain information about yourself including your name, contact details and credit or debit card information. Where you have consented when providing us with your details, we may also allow other companies in our group, to contact you occasionally about products and services which may be of interest to you. They may contact you by e-mail. If you change your mind about being contacted by these companies in the future, please let us know at info@strattonmontez.nl Finally, if our business enters into a joint venture with or is sold to or merged with another business entity, your information may be disclosed to our new business partners or owners. Unless you have indicated your objection when disclosing your details to us, our system will issue cookies to your computer when you log on to the site. Cookies make it easier for you to log on to and use the site during future visits. They also allow us to monitor website traffic and to personalize the content of the site for you. You may set up your computer to reject cookies by following the relevant instructions which can be found at www.aboutcookies.org. In that case, you may not be able to use certain features on our site. If you do not wish to receive cookies in the future, please let us know at info@strattonmontez.nl. You are entitled to see the information held about you and you may ask us to make any necessary changes to ensure that it is accurate and kept up to date. If you wish to do this, please contact us at info@strattonmontez.nl. We are entitled by law to charge a fee of € 10 to meet our costs in providing you with details of the information we hold about you. 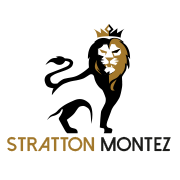 All comments, queries and requests relating to our use of your information are welcomed and should be addressed to info@strattonmontez.nl.